With another month gone by without any Virtual Console service, ACA has been picking up the slack through a constant string of Neo Geo ports. 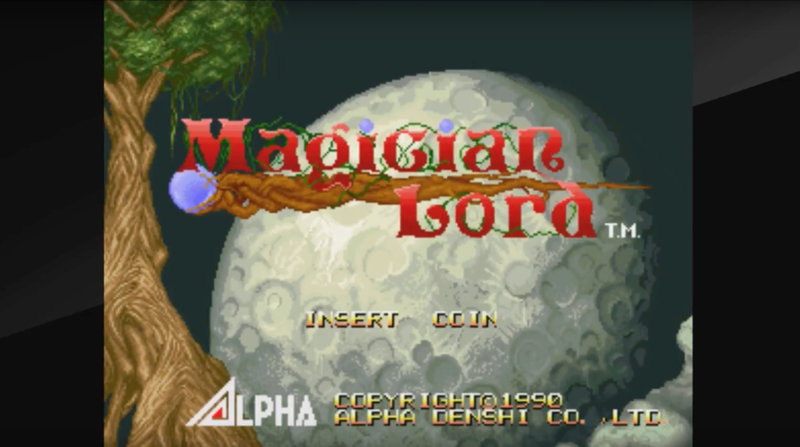 I’ve gotten the pleasure of taking a look at the arcade title, Magician Lord. Like many arcade games, you can only play after “inserting coins”. Also like many arcade games, Magician Lord’s goal is to separate as many hapless players from their coins as possible. In my experience with Magician Lord, I’ve died more times than there are words in this review. If my last runthrough were on an actual arcade machine, I’d have put somebody’s kids through college. Being a product of 1990, Magician Lord also comes with that classic, “What’s that supposed to mean?” English translation that characterize so many of its peers. 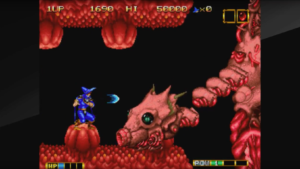 For example, the countdown before game over screen reads, “Again changes to Hell”. Difficulty in Magician Lord is not through tricky platforming or challenging foes; it’s at mobbing the player, placing them in impossible situations. The sooner they lose, the sooner the next person in line has a chance to spend their quarters. Enemies can come at you from any angle, or in a mob — sometimes both. If there are Invincibility frames, they are extremely few, as keeping too close to enemies will take players from full health to death in a second. There are also foes which I deem, “hurry up” enemies, that appear whenever the player spends too long on a single screen to take a few pot shots. I suspect this is to either A) punish players who got distracted, or B) let others have a turn at the game should the current player walk away. Considering players can only take two hits before dying, I’m going to lean more towards option B. There are times in which you can get more health through these orbs which transform the player. Depending on the combination of orbs you obtain, you can transform into one of five different beasts, each with their own unique attacks and stats. Considering this game hails from the distant year 1990, that’s kind of impressive. However, in the face of mobs of enemies, most of these abilities might as well be a squirt gun. Transformations also end if you take two hits, so players will really want to be careful. 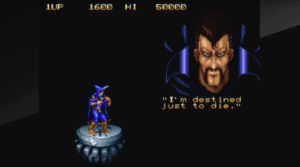 Many of the issues with Magician Lord comes with the territory of being an arcade game from a bygone era. 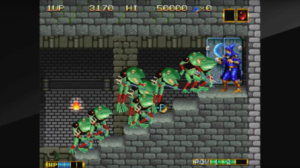 ACA games have always been good at making sure the players have enough quarters, otherwise most players would feel the full weight of Magician Lord’s stiff controls, and dog piling enemies. Fans nostalgic for Magician Lord may get a kick, but I don’t think most will get much enjoyment from the aging arcade platformer.